Hunter irrigation control boxes that enable staff to monitor and/or change running times from the convenience of a mobile phone app have been installed in all Department of Housing and Community Development complex common areas in Katherine. 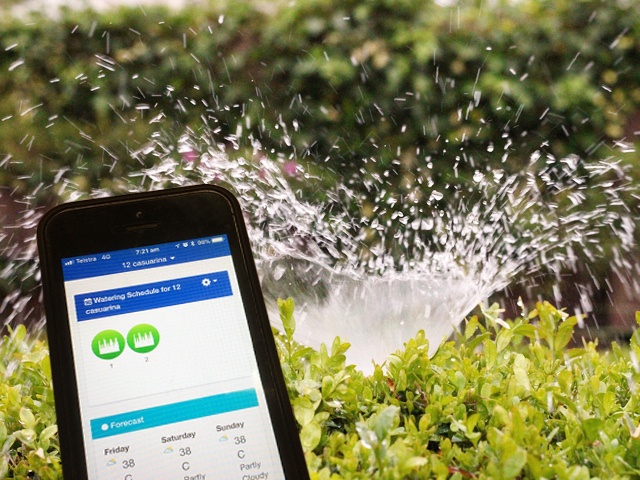 The smart irrigation system identifies water leaks, monitors usage, can communicate with local weather stations and will automatically turn off watering times if it has rained. The system will be especially effective during the wet season where it is expected to save thousands of litres of water. Once flow meters are installed, water leaks or sprinkler damage can be reported directly via the app allowing repairs to be actioned immediately that would otherwise have only taken place following contracted weekly inspections. This new way of monitoring water is expected to save time and money and will change the way grounds maintenance contracts are serviced in the future. The app can also be installed on work computers and operated in the same way as the mobile phone.